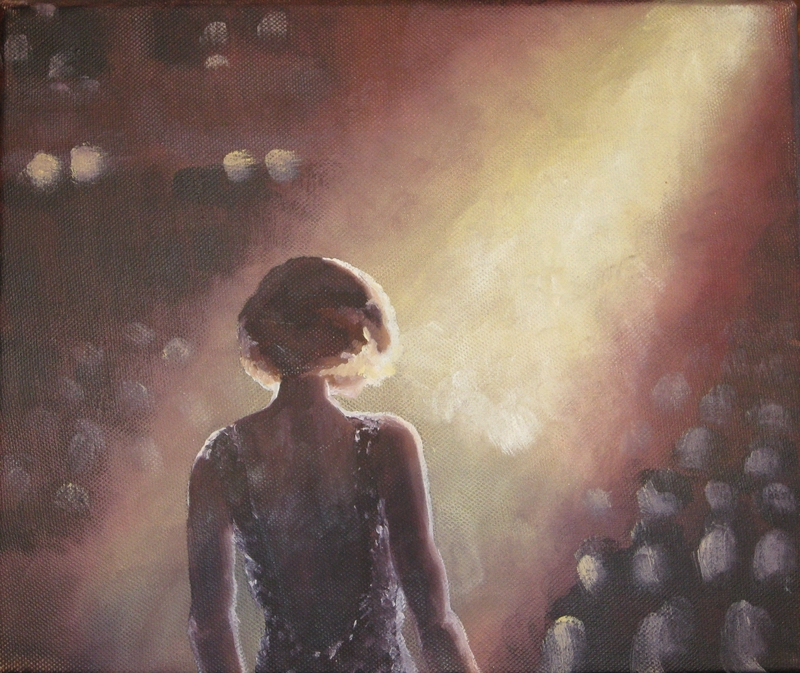 I am drawn, time and time again, to make paintings about my work and the sensation of being on stage or just in the wings waiting to go on (see Roxy, The Trapeze Artist and Curtain Call). There’s something about the anticipation, the fear, the energy one shares with the audience, being in the present moment, nerve endings tingling, which makes one feel more thoroughly alive than at any other time. It’s definitely something to be celebrated and something worth recording, saving, capturing and expressing, being – as it is – so fleeting in time.